I am back!! It's been soooo long since I posted something, I will share my holiday moments with you very soon, so stay tuned! But today I want to talk about something that has been extremely popular lately - temporary gold foil tattoos. Amazing people from Gold Boho Tattoo sent me to try out these gorgeous beauties. Looking at the pictures of celebrities (Beyonce, Rihanna, Vanessa Hudgens, etc.) wearing it, made me kind of jealous because it looked amazing. So when I've got a chance to try it myself I was very excited. I have to admit these tattoos looks stunning on tanned skin. It changes any outfit and from simple casual it turns in to sparkling glamorous. 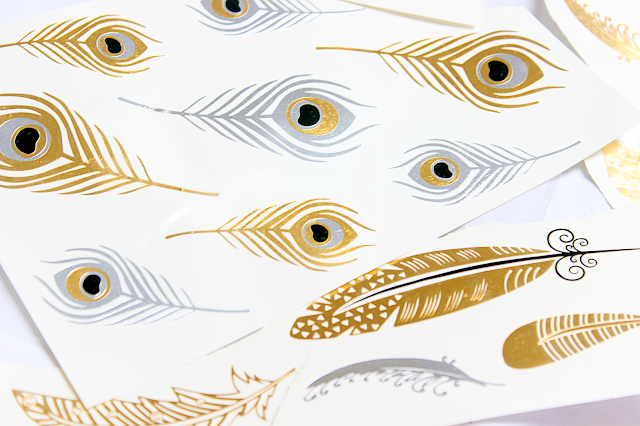 Gold Boho Tattoo guys sent me 2 sheets of different tattoos, which I chose the design myself. They offer many different styles: flowers, feathers, Aztec style, etc. The application is super easy and you only need pair of scissors to cut out your desired tattoo and a wet towel. You can see detailed instructions below. The packaging claims that tattoo lasts 4 - 6 days, if looked after it will stay even longer. I have to say the staying power it's pretty good, it won't come off after shower and even after toweling your body. But it will easily come off if rubbed with oil, so if you want to have it for longer period of time avoid any greasy products. Mine stayed for about 5 days. Thanks to Gold Boho Tattoo for letting me try something new and so amazing! Let me know what you, guys, think about this new fashion trend? 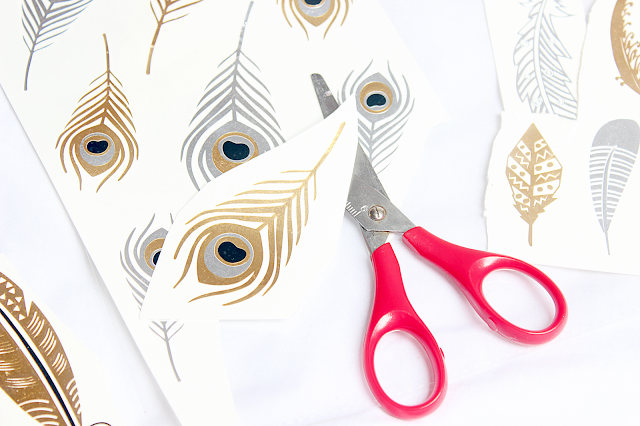 It's YAY or NAY for gold foil tattoos? I'm obsessed with temporary tattoo's at the moment!